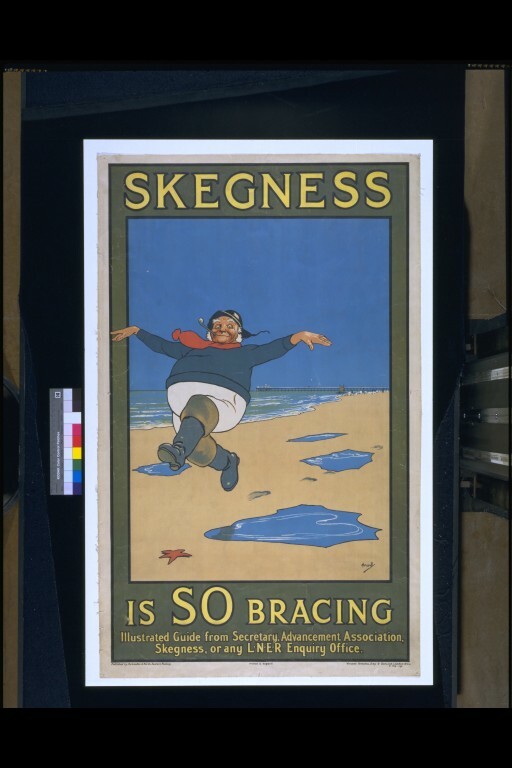 This poster was first issued by the Great Northern Railway in 1908. It was then reissued by London and North Eastern Railway (LNER) about 1925. John Hassall (1868-1948) was a contemporary of Dudley Hardy (1867-1922) and produced many posters for the clients of the printers David Allen & Sons. His greatest strength was his humour, which made his images highly popular both then and now. 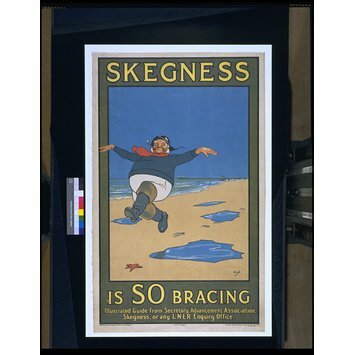 The image of the fisherman, first issued by the Great Northern Railway in 1908, and from 1925 repeatedly used by the LNER, still promotes the Lincolnshire town of Skegness today. 'Skegness Is SO Bracing'. Colour lithograph poster showing a picture of a fisherman wearing a black hat, blue jumper, white breeches, and thigh-length Wellingtons. He is smoking a pipe and skipping along a beach with small puddles of sea-water and a starfish on it. The pier can be seen in the distance. 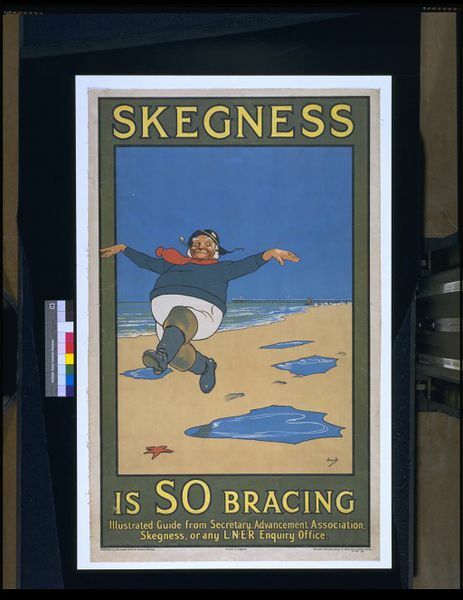 The text of ‘SKEGNESS’ is above the image and ‘SO BRACING’ runs below. Signed 'Hassall' in the lower-right corner of the image. Text of design, running above and below image. Signed in the lower-right corner of the image. 'Skegness Is SO Bracing'. Colour lithograph poster showing a picture of a fisherman skipping along a beach. Originally designed by John Hassall in 1908 for the Great Northern Railway. Issued by the London and North Eastern Railway. Great Britain. ca.1925.